When children act out, misbehave, or engage in an activity that puts them in danger, parents often respond with an impulsive punishment. They may yell, tell them to go to their room, or even spank their child in the hopes to get them to hear, and feel, that the actions that he or she did were “bad.” Interestingly enough, most of these consequences don’t work, and the brain is partially to blame. Recent research from Southern Methodist University discovered that spanking was far more common than parents admit, and that children who were hit, misbehaved within 10 minutes of being punished. Indicating that even with intense pain, their brains rewire back to impulsive decision making. Why is it that kids misbehave so quickly afterwards? The spanking, the yelling, the removal of rewards and privileges, doesn’t encourage them to behave differently. In fact, in many cases it scares them. The brain goes into survival mode, triggering them to act aggressively or impulsively, because their neurological underpinnings are driving the behavior. Ever heard your child say “I didn’t mean it, I don’t know why I did it.” Many times they are right. The brain turned on before they even realized their bad action was occurring. Parents and parenting are not to blame completely either, not at all. The problematic behaviors that get the child punished in the first place are due to their environment and their brain chemistry. Next time your child does something that you have told them 20 times to not do, before acting on impulse yourself, and raising your voice or threatening to take away X, Y, or Z, think about what else could be at play. Certainly a new approach to communicating and also a look into their noggin. 1) Balance Brain Chemistry - In many cases where a youngster acts impulsively, lashes out, or doesn’t listen, it isn’t due to just anger or frustration, their brain chemistry is also to blame. Extensive research and thousands of neurotransmitter tests have revealed, that frequently an imbalance in neurotransmitter levels (brain chemistry), is a key contributing factor to the child’s bad behavior. 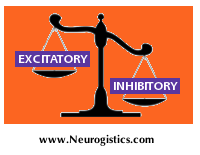 Often times their excitatory neurotransmitters are running the show, leading to them having difficulty controlling themselves. Correcting brain chemistry can be a huge piece in healing the bad behavior puzzle. Neurotransmitter testing is easy, can be done in the comfort of your home, and provides an all natural solution to balancing brain chemistry. 2) Change Communication - You are the parent and role model, so get cracking on a more effective approach to communicating concerns and consequences to your child. 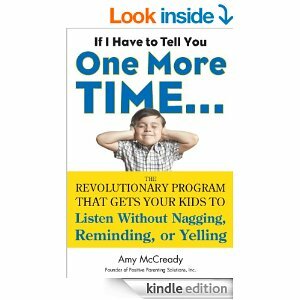 In the bestselling book If I Have to Tell You One More Time…: The Revolutionary Program That Gets Your Kids To Listen Without Nagging, Reminding, or Yelling parenting expert and Today Show contributor Amy McCready shows you how to. McCready is a “recovering yeller” and the Founder of Positive Parenting Solutions. She is a champion of positive parenting techniques for happier families and well-behaved kids. Her Toolbox strategies have empowered tens of thousands of parents. 3) Gain and Teach Skills - It is important for parents to learn how to control their own emotions and be able to teach these skills and techniques to their children. 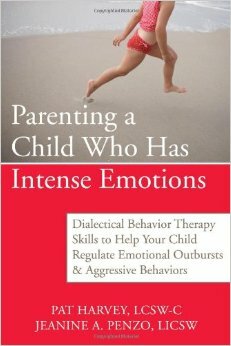 Parenting a Child Who Has Intense Emotions: Dialectical Behavior Therapy Skills to Help Your Child Regulate Emotional Outbursts and Aggressive Behaviors by Pat Harvey, is a great book that can help with this. As a world renowned expert in Dialectical Behavioral Therapy, Harvey uses DBT Skills Training in working with parents whose children (of any age) have intense emotions/emotional dysregulation or mental illness. The nonjudgmental and accepting aspects of DBT have been well received by parents who are often blamed for the problems of their children. Feeling accepted enables parents and others to learn new, more effective skills. Adjusting your child’s brain chemistry, and possibly your own, will be the glue that holds any parenting method together. Skills and therapy can be effective, and with a brain that’s onboard with these new approaches, you have benefits that will last a lifetime.